Caption slip reads: "Photographer: Paegel. Date: 1958-05-25. Reporter: Thackrey. Assignment: Flags. 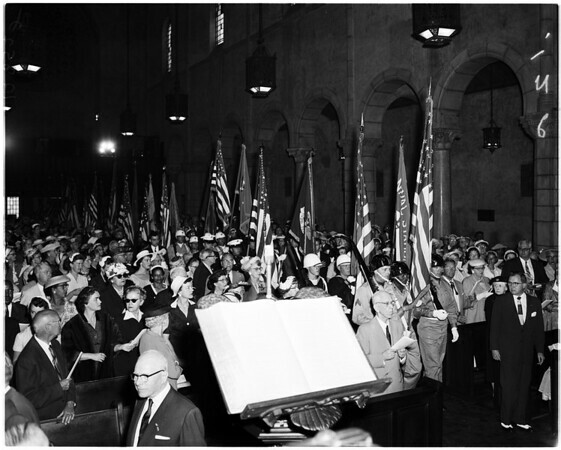 Flagpmassing [sic] ceremonies at St. Paul's Episcopal Cathedral, during Memorial Week commemoration of US war deat [sic]".